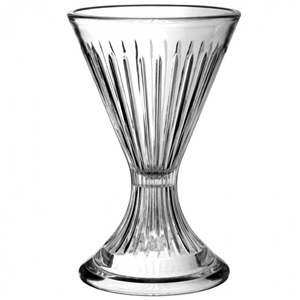 These Utopia Bali Dessert Glasses are incredibly versatile and can be used to serve a wide range of desserts. 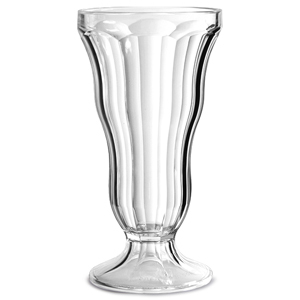 These sundae glasses have been crafted from a stain, chip and break resistant polycarbonate material, making them perfect for outdoor use in busy commercial settings. Featuring a footed hourglass shape and a vintage inspired paneled design, these ice cream glasses can be used to serve sorbets and ice cream sundaes.